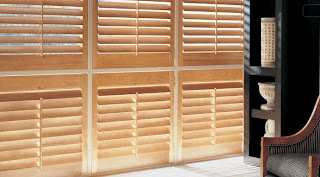 Looking for an alternative to wood blinds? 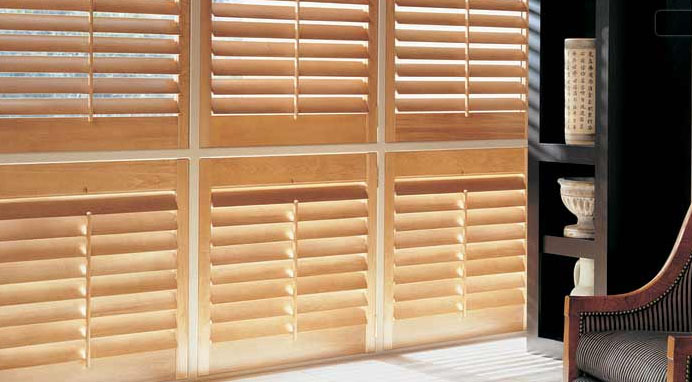 Hunter Douglas has beautifully designed shutters that is sure to make any home look fabulous. One of my favorite uses of these were in the residential bathroom of the Barbizon Hotel. We used the option, covered in black tape, giving the windows a beautiful glow.